Sweeten someone's day with an indulgent pairing of wine and chocolate. Made in our candy kitchen with our signature chocolate blend, this assortment of truffles includes dark chocolate raspberry and milk chocolate filled with dulce de leche. 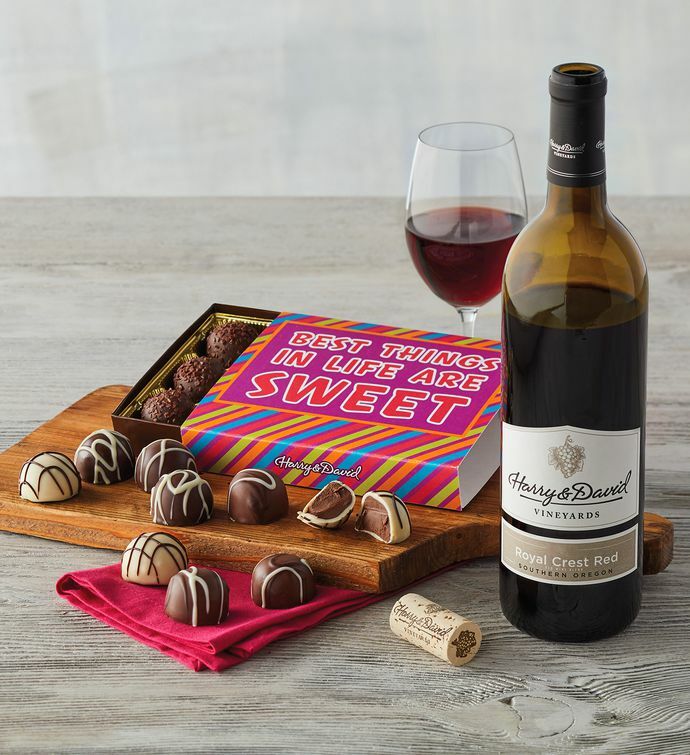 Pair any of the gourmet chocolate truffles with this 2015 Harry & David™ Royal Crest Red, a deliciously drinkable Oregon wine.